Welcome to Reload Internet, the best place to have your St Kitts and Nevis passport photo or visa photo produced. We are a professional passport photo studio that has been operating in Paddington for well over a decade, taking hundreds of passport and visa photographs every week, including St Kitts and Nevis passport and visa photographs. 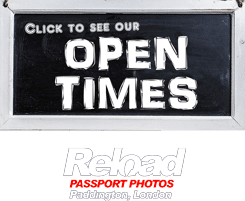 We are located on the same street as Paddington tube and train stations, and stay open throughout the week, making us the most accessible, convenient and reliable passport photo studio in London. You don’t need an appointment, just stop by our store and a member of our staff will happily assist you! We will provide you with a set of 6 photographs that are guaranteed to pass with your application when you submit it to the embassy of the first time. We will capture your photo with the correct background and lighting using the latest Embassy approved digital cameras, and will then cross-check your photograph with the official guidelines so we can ensure it will be successful. After we have checked the photograph, we will print it using high-end photo printing machines, and cut them to the exact sizing required for your application. All of this for just £9.99! Our service cannot be beaten! You must make sure that your St Kitts and Nevis passport photo and visa photo meets the exact specifications listed below, as otherwise your application will probably be denied because of a photo error. Kindly remember, in case the request for the visa is not accepted or withdrawn or unsuccessful, the fees will not be refunded. This is why you should visit Reload Internet for your St Kitts and Nevis passport photo and visa photo, so you can avoid any unnecessary delays and costs that may occur due your photograph failing. The applicant needs to submit the application along with 2 copies of his/her photograph. The photograph should be of the full face without any type of hat/cap on the head. While having their photograph taken, the applicant should have a neutral expression on his/her face with a closed mouth. The applicant should not be frowning, smiling, laughing or showing his/her teeth. The eyes should be kept wide open. There should not be any contrived expression like squinting or raised eyebrows since these are not allowed. One should always look straight towards the camera. As stated earlier, the eyes should be clearly visible; they should not get covered by the spectacle frames or hair. The camera lens should be at the same level as the eyes of the applicant; not below or above the eye level. The paper on which the photograph will be printed should be of high quality. It should have a minimum print resolution of 600 dpi. The skin tone and photo color should be neutral. The photograph should not have impurities, creases and should not be manipulated. The applicant should not be wearing glasses while getting clicked. In case it is of utmost importance for the applicant, then the spectacle should be such that the eyes are clearly visible. Sunglasses are not accepted. Headwear is allowed on special grounds like religion. However, in that case, also, the face should be fully visible – from chin to forehead. 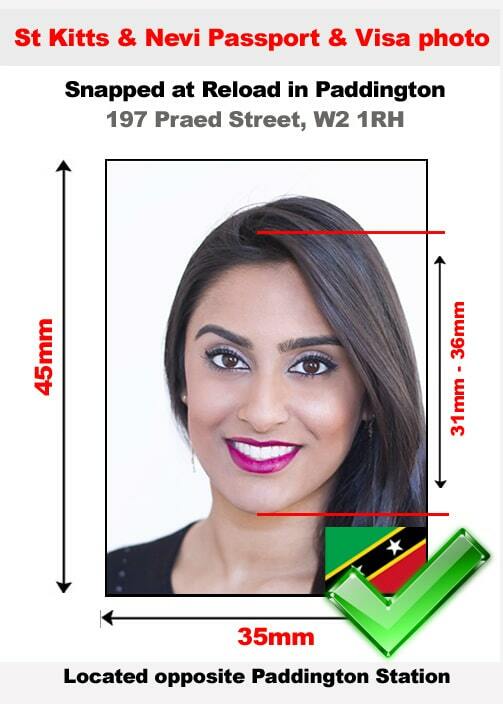 These specifications are based on the official guidelines on St Kitts and Nevis passport and visa photos released by the Embassy, which you can see in full here.